Water Features — Createk Inc. Most of Createk’s water projects use artificial stone to help define the overall shape and structure of the installation or to add natural enhancements such as boulders and rocky terrain. Createk’s stone mimics the look and feel of real stone without the weight, cost, and instability of their natural counterparts. Createk technicians can design a project based on your vision or work with your designers and architects to satisfy your exact specifications. 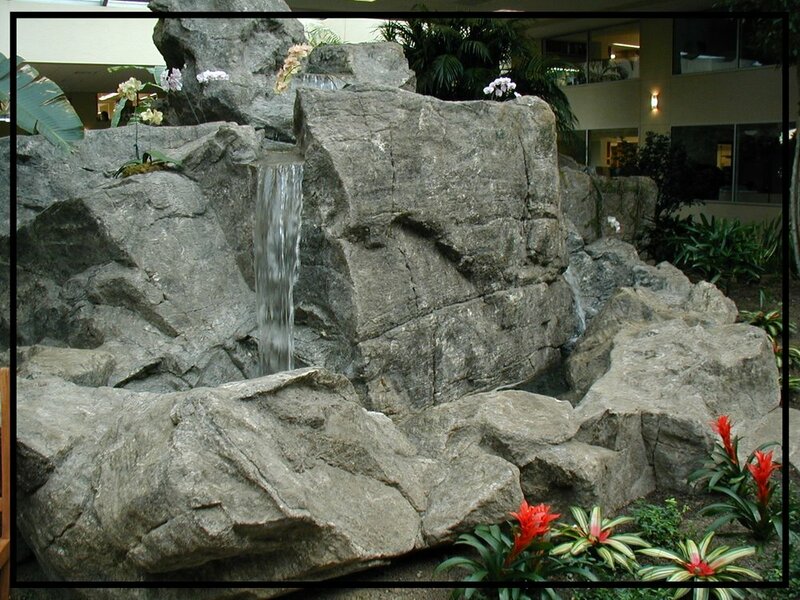 Whether your project requires a rock strewn river, a sheer waterfall, or an underwater cave, we can create it! Createk is driven to provide customers with the most realistic and durable artificial rock products for the widest variety of water projects. Beautifully landscaped water feature located in CT.